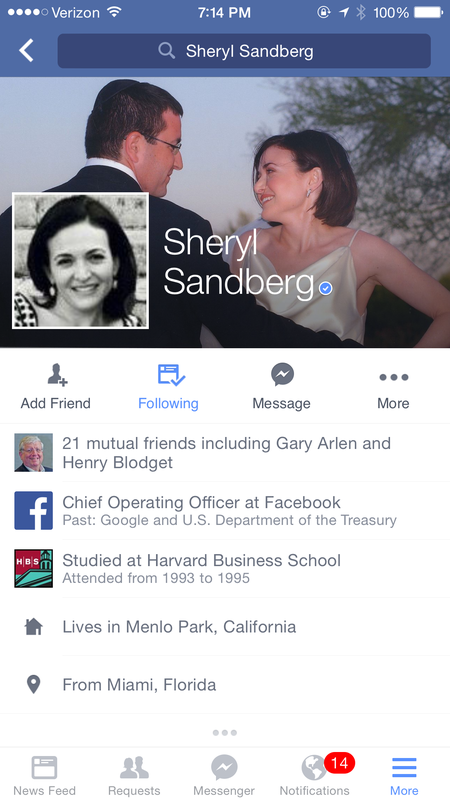 I was stunned tonight when I saw a post from Sheryl Sandberg on my Facebook feed. I can only assume that everyone got it. Over hundred thousand people instantly commented on her post wishing her nothing but the best. 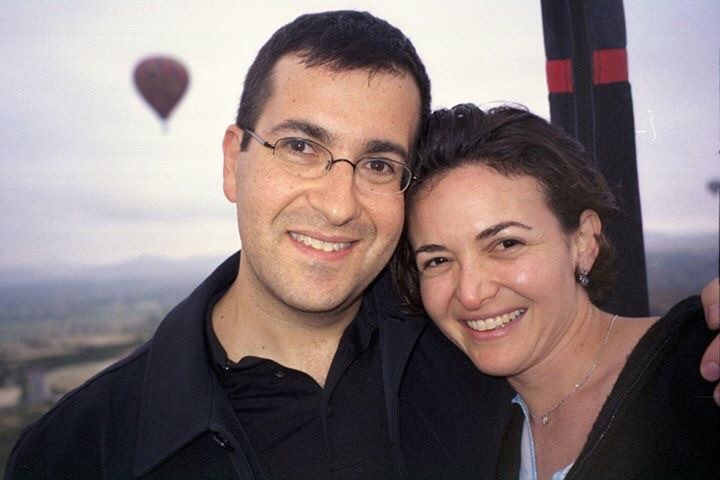 The post is so sad to read even though it is a beautiful tribute to her husband, Dave Goldberg. The world has changed. 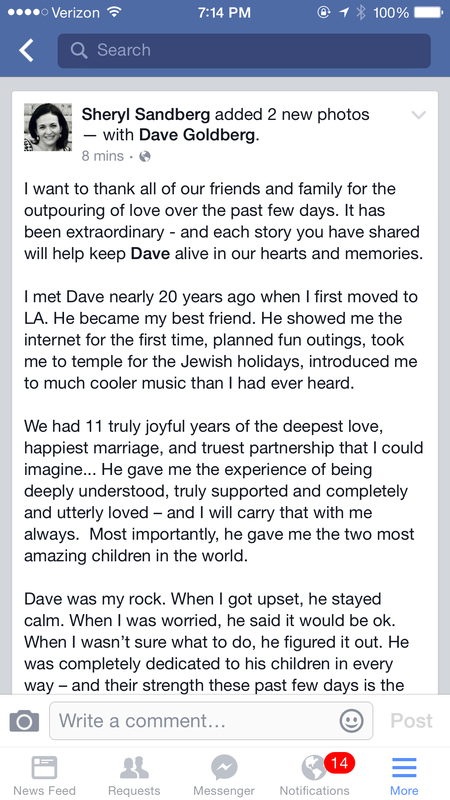 Sheryl decided to share her emotions publicly on social media. Years ago, we all privately mourned. Maybe it’s better just to belt it out. 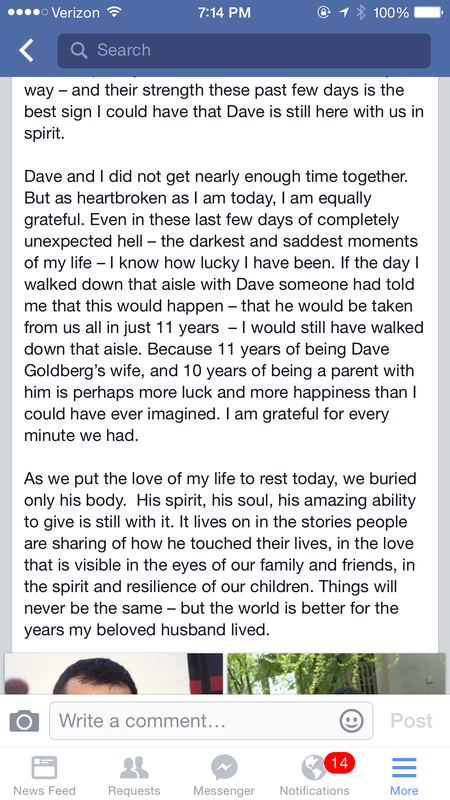 In any case, it is heartbreaking. 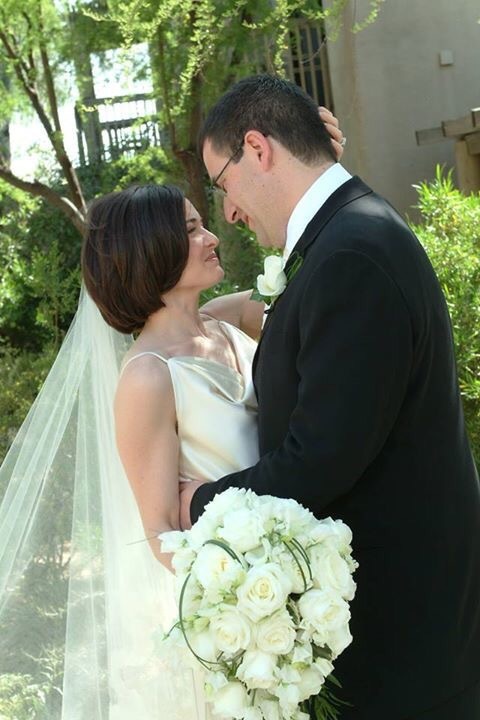 This entry was posted in digital, senior lifestyle, tech and tagged dave goldberg, facebook, Sheryl Sandberg by loiswhitman. Bookmark the permalink.